If you have been looking for a quality window installation company, you have come to the right place. We offer top notch customer service and the best quality windows with a lifetime guarantee. We are your experts for Replacement Windows in Mount Washington. Our installation staff have decades of combined experience specializing in window replacement. They are prepared to serve your needs in all types of window renovation projects such as for commercial as well as residential properties. As a certified distributor of Milgard windows, we are especially qualified to help you select the best quality windows for your facility. Our job is to help you choose the ideal windows for your property regarding aesthetics, function, as well as budget. Please give our office a call or send an email to schedule a free no obligation estimation appointment. We are happy to work with you on a example scenarios and discuss exactly what your window replacement project may include. Put your trust in our professional team to work with you on every step. We give you full control and choice on your options and the reasons behind each decision. We can’t wait to learn more about your project and serve you to the best of our ability. 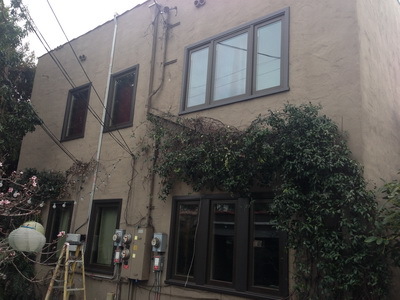 If you need Replacement Windows in San Marino or surrounding areas, we are here to help. It doesn’t have to be difficult or expensive. We are passionate to provide you the best quality service at an affordable price. If you have budget or time limitations, let us know and we will work with you to deliver the best possible outcome as your budget and time allows. Also, our windows feature cutting edge technology in energy efficiency. Why keep outdated windows when new windows can pay for themselves in utility savings? Many of our past clients have been impressed by the cost savings in electricity and gas bills after their installation is done. If you think you can’t afford new windows, just think of the high cost of utility bills that may be due to old or faulty windows. Also, old or faulty windows invite opportunities for crime. Our Milgard Windows offer secure locks that guard against break-ins and theft. You’ll be relieved to know that your new windows will be saving you money on energy as well as keeping your property safe from harm. Call us and our team come up with an estimate for your project. We are looking forward to work with you to make sure you get the best quality windows for your investment. New windows will not only lower your energy bills and keep your building safe, they also enhance the overall appearance and increase your property value. New windows can brighten up any room immediately. Letting the light from the outside makes any room more beautiful. If you are preparing to sell your property, buyers will notice the excellent quality of Milgard windows and appreciate their technology as well as their style. Choose from a variety of classic and modern looks to suit your décor. Our team of specialists are ready to help you make the selections that best match your home or office. If you are building a new structure, we are also happy to help in window and door design. Most of our new clients come from referrals by word of mouth from past clients because of their outstanding experiences. We work hard to continue our long tradition of satisfying our customers and going above and beyond their expectations. Give us a call today and get your Replacement Windows in Mount Washington. Start your window replacement journey with Intex and we will bring your dream of beautiful windows to reality!